CES 2019, has come and gone. 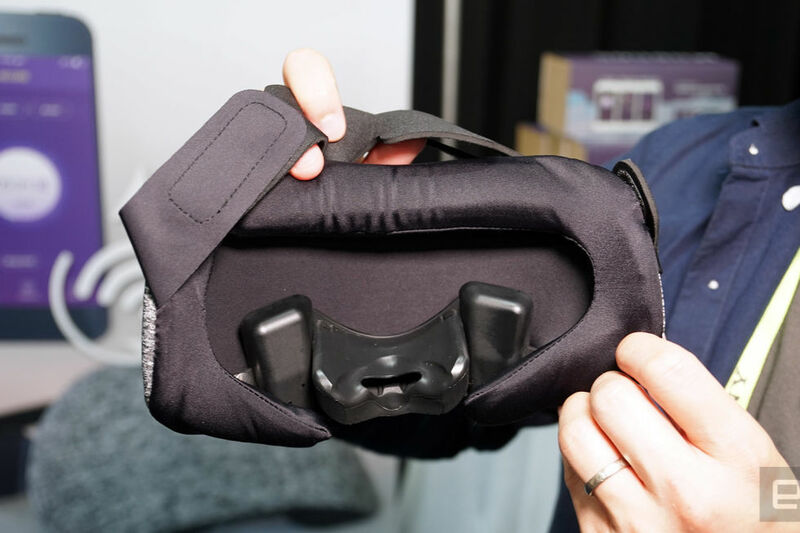 One of the highlights of the tech event which held between 8th - 11th January, 2019 in Las Vegas Convention Center, Las Vegas Valley, Nevada, United States, was the launch of The Hupnos sleep mask. The Hupnos Sleep Mask wants to solve your sleep problems by quieting down your snoring partner. It looks like a hybrid between a sleep mask and a scuba mask that goes over your nose to control your breathing while you sleep. The mask pairs with an app that listens to you while you sleep to determine whether or not you're starting to snore. The app detects snoring and records it for you. You can see and hear all snoring through the night. Then take steps to fix it! The Hupnos sleep mask knows your position through the night. You’ll get a gentle buzz if you are snoring while on your back. Tiny vibrations cue you to roll over without fully waking. The patent-pending mask will increase users expiration pressure, which opens your airways, so you breathe quietly, WITHOUT SNORING. The Hupnos Sleep Mask which pairs with an app that listens to you while you sleep to determine whether or not you're starting to snore, gets to work as soon as it detects a snore. CNET reports that once it detects a snore, The Hupnos Sleep Mask uses its built-in accelerometer to determine your sleeping position and vibrates to get you to move to a less snore-inducing position. If that doesn't solve the problem, it increases the pressure when you exhale or Expiratory Positive Airway Pressure (EPAP) to help open up your airways and stop snoring. The mask itself feels relatively comfortable when tried on, with its satin padded lining that doesn't press against your eyes, but the rubber module that went over users nose felt restrictive and smelled like the inside of a scuba mask. The vibration is strong enough to lull its user out of sleep, but subtle enough to fully wake and probably a much less violent move than what many of user do to their snoring spouse. The EPAP feature was a lot less restrictive than anticipated and just felt like someone slowing down my exhale. How Much is The Hupnos Sleep Mask? The Hupnos Sleep Mask sells for $179 (roughly N68,020, £140, AU$250), but it's currently on sale for $120 on Indiegogo (roughly N45,600 £95, AU$170).